Gethsemane, signed “Carl Schmitt 1924”, oil on canvas mounted on board, 30 x 25 in. 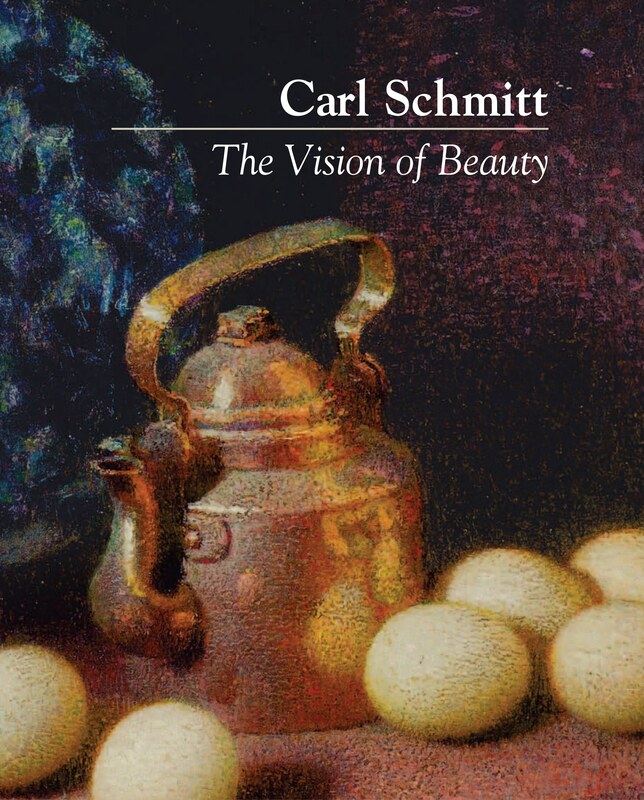 This painting, a striking example of Carl Schmitt’s early religious work, is being offered for sale by the owner, a private party in Connecticut. If you are interested in acquiring this painting, please contact the Foundation. 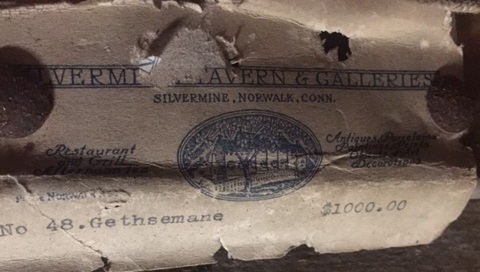 Label on the back of the stretcher for the exhibit at the Silvermine Tavern and Galleries, December 1930-January 1931. This work was exhibited at a one-man show at the Silvermine Tavern and Galleries from December 1930 through mid-January of the following year. The owner of the Gallery, John Kenneth Byard, was a one-time patron of Schmitt’s and early benefactor of the Silvermine Guild of Artists. Schmitt’s agreement with Byard in the 1920s gave Byard the right to acquire all of Schmitt’s work not commissioned by other patrons, and an inventory from 1932 lists this painting in Byard’s possession. The present owner’s grandfather knew Byard (probably as his employer), and most likely acquired the painting directly from him. This painting is one of many depictions of this scene Schmitt painted between the mid-1920s and early 1930s (some now lost). 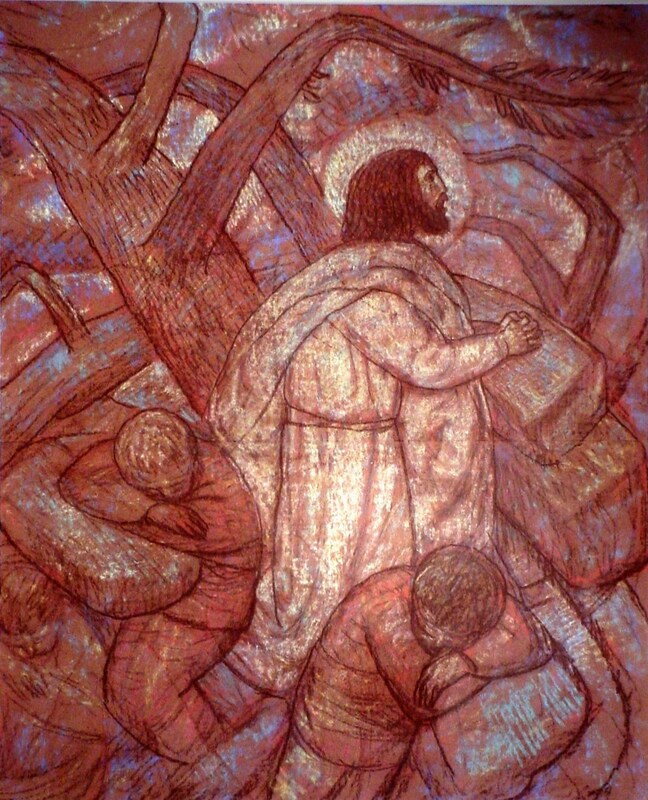 A number were experimental works, featuring what one critic called “weird pigmentation.” This painting is unique its kaleidoscopic color and dramatic rendering of Christ’s agony in the garden. 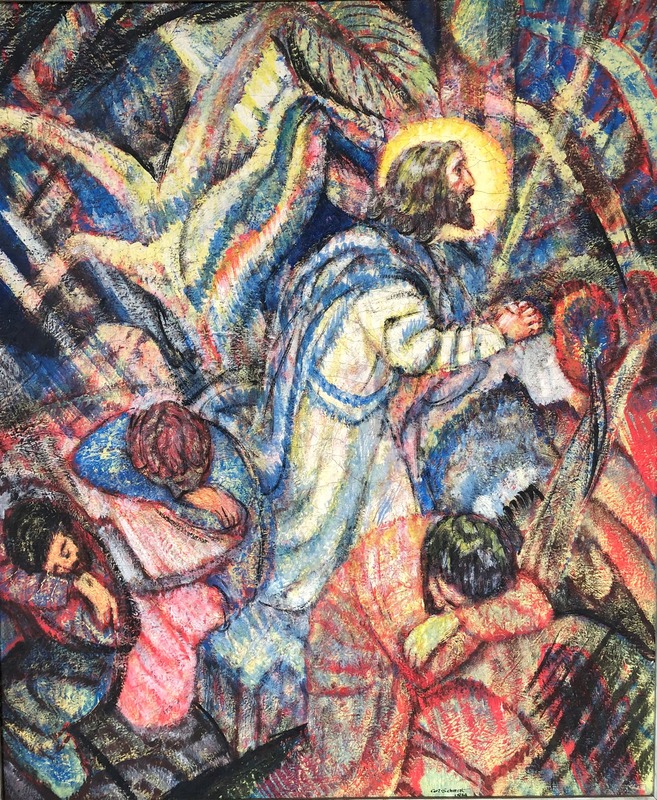 This pastel, probably dating from the 1930s, contrasts dramatically with the vivid coloration and pleading central figure of the similar painting.